I am striving to get back on track with my Instagram posts which is why I've been taking loads of pictures between this post and my last one so that I can get back on a Monday posting tip! It's been quite easy actually; there are so many festive scenes to snap (yet I can still only manage the one in the city centre complete with signpost and bus!) 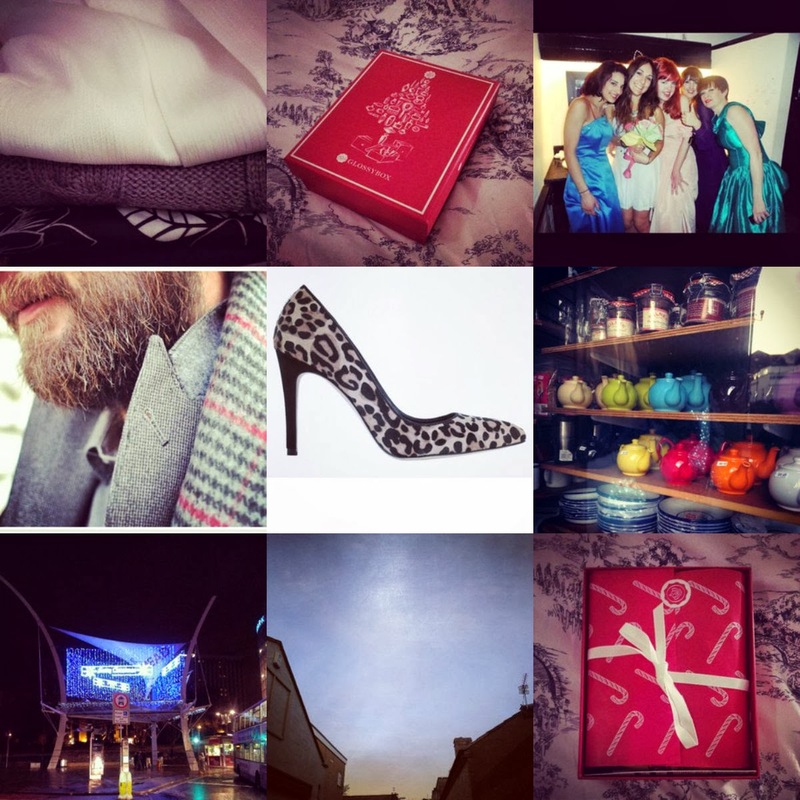 and other things to share, such as the December Glossybox which I was incredibly excited about but actually turned out to be a bit of a letdown! I'll have a blogpost on this coming up so stay tuned! I think I mentioned in a post last week about my friend's Leroy and Carla's rock & roll wedding party. I wanted to share a pic of all of the girls-me in purple, Rhianna in blue, Hannah in green, Molly in pink and of course the bride herself complete with lace up dress and cat ear tiara. Basically best wedding ever! Adrian's also been on my blog this week, rocking a cool jacket and other bits from F&F. It was fun for me to be behind the camera for a change! You can read the full post here if you'd like to. I've also got my hands on some lovely bits from Damart this week which I will be sharing in an outfit post or two soon!